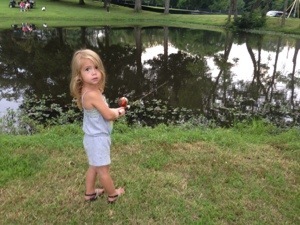 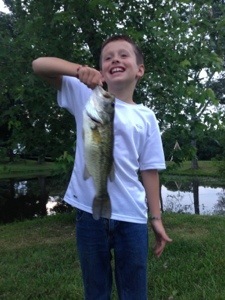 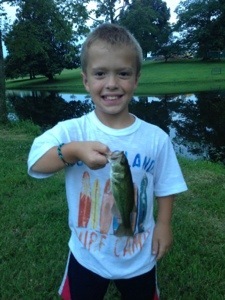 We ended our weekend at the farm by trying our luck fishing in our pond. 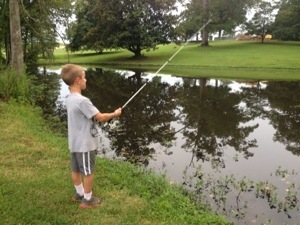 Keeping kids fishing can be challenging between tangled lines, lost bait and hooks in trees. 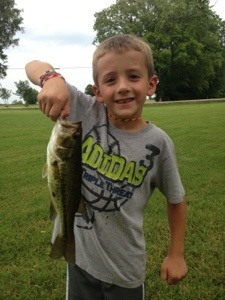 But today we timed it right and got into some great big bass!